Love ‘em or hate ‘em, the New York Yankees have produced the best players in baseball through the decades and the All-Star game sendoff last night for retiring closer, Mariano Rivera, produced one of the single, most iconic moments in the history of the sport. When the best reliever to ever play the game was brought in to pitch the 8th inning he did not know there was a conspiracy afoot. The players on the American League squad had worked it all out. With the exception of the catcher, they would not take their places in the field until after the standing ovation from the New York crowd. 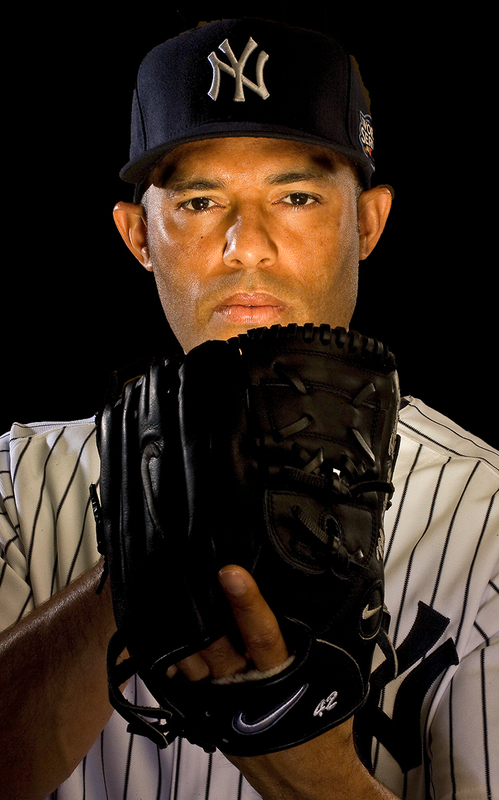 And so the Panamanian-born Rivera stood alone, by himself, on the pitcher’s mound, his eyes welling up with tears. His fellow All-Stars from both leagues lined up in front of their dugouts, applauding. 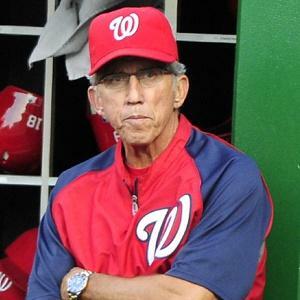 As he was showered with love and respect from the players and fans and umpires, Rivera, as he has throughout his career, epitomized dignity and grace. And sheer talent. You don’t see too many 43 year-olds playing this game. But this is no ordinary player. He wasn’t selected for the All-Star game for the sentimental value. He got selected because he’s still earning it. He has an ERA under 2.00. He has 30 saves. He is a living legend and we are all fortunate to have seen such a talent sometime in our lives. I am old enough to have seen Mickey Mantle, but at the time he was just a shadow of what he’d been. It was maybe five years ago when my friend from ABC News, Jeff Fitzgerald, invited me to a Yankee game back when I was living in the Big Apple. I distinctly remember Mariano coming into the game in the 9th for the save and Jeff saying, “You know, that’s the greatest closer of all time.” And everyone has known it for damn near two decades now. – 638 saves, already a major league record with about 20 more to go for the season at his current rate. – A win/loss record of 77-60 and a career earned run average of 2.20. Not goodbye quite yet, Mr. Rivera, but that was one magic moment last night. Baseball fans from every nook and corner of the world, no matter what team they root for, will always remember him for his skill, that unhittable cut fastball and for being one of the class acts in the history of the game. The Kid’s an adventure, alright. Two homers and an ejection on the same night indicate there’s a still a bit to go on the emotional IQ front. 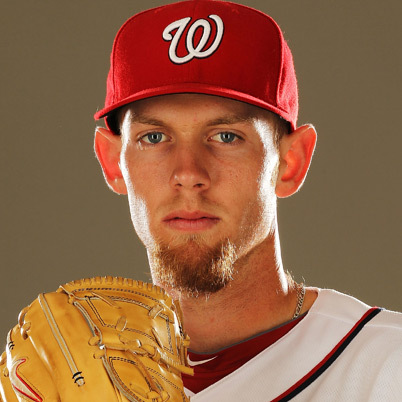 But let’s not forget, he also almost single-handedly lifted the Nationals out of a scary 5-game losing streak that had pretty much all of Washington wondering if this magical season had just been a cruel mirage. His first homer last night put the Nats on the board for the first time in 13 innings. And if that weren’t enough, he hit his 2nd homerun ridiculously further- way into the top deck in right field at the cavernous ball park in Miami, the longest shot this season in the Marlin’s new stadium. He also made at least two beautiful defensive plays and, at a key moment, with the Marlins rallying with men on 2nd and 3rd and less than two-out, threw a laser to home plate to keep Florida from scoring. He also dropped a ball that hit his mitt early in the game and later got himself ejected in the 9th when he hit into a double play and, frustrated with himself, tossed his helmet rather violently on the ground, just a little too close to the 1st base umpire. – Smashed a bat in the hallway off the dugout early in the season, causing a laceration dangerously close to his left eye and taking the field with blood dripping down his cheek. 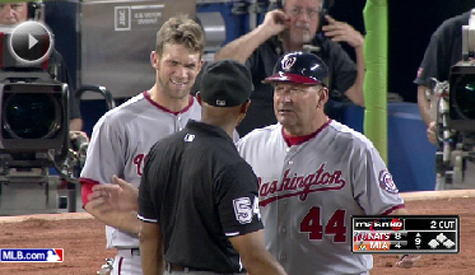 – Smashed a bat at home plate after a strike-out, so hard that it broke up into a hundred little splinters for which he later apologized to both the opposing team’s catcher and the ump. – Repeated the scene a few weeks later, sending bat shards flying into the infield. – Was replaced in an innocent double-switch situation this week and according to manager, Davey Johnson, busted up several batting helmets. I just need to stop getting [angry] and just live with it and there’s nothing you can change. I just need to grow up in that mentality a little bit. 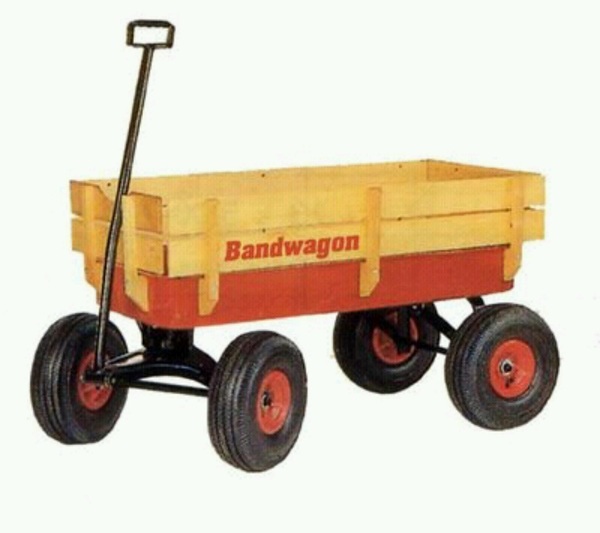 Try not to bash stuff in and things like that I’ve always done my whole life and those need to change. Yes, a moratorium on “bashing stuff in” would probably be appropriate. He is, you know, a teenager. But a damn good one. Only Ken Griffey Jr., Mel Ott and Tony Conigliaro have ever hit more homers in the majors under the age of 20. And we haven’t hit September yet. To my eye, Bryce is like a big ‘ol Great Dane puppy, romping around, smashing baseballs, bats, helmets, careening into walls. At least he doesn’t chew on electrical cords. In a sport where failure happens about 70% of the time, he might want to chill just a tiny little bit. It’s a pretty tough sport for a perfectionist. It seems like ages ago in another universe. 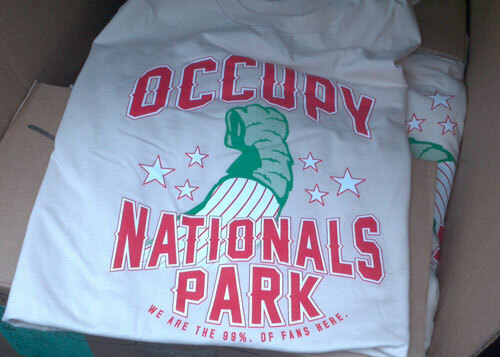 Remember the “Take Back the Park” promotion way back in early May? Back then, the Washington Nationals were worried about supporters of other teams outnumbering the home fans. The mighty Philadelphia Phillies were coming into town for their first series of the year with Washington’s promising young team. Heh. Today, the Phillies are 20 games behind the Nationals, in 4th place in the NL East. Twenty. Average attendance is over 30,000 and good tickets are getting increasingly difficult to get. Television viewing is through the roof. 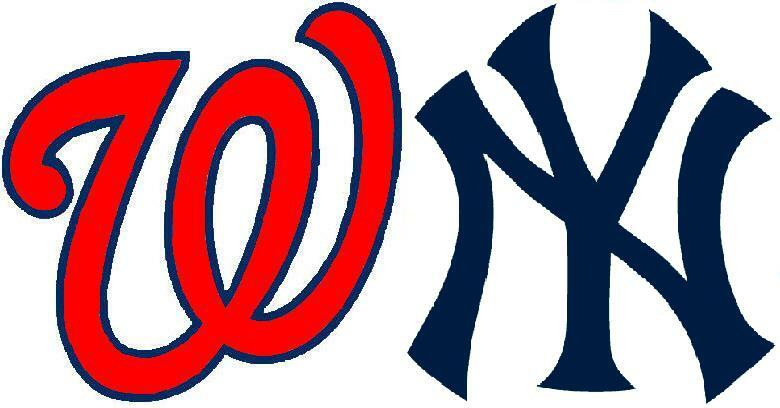 Remember how thrilled we all were when the Nats opened the year 14-4 and we went to TEN games over .500? We were all whipping out our calculators. “Let’s see, if the Nats go .500 from here on out, we probably get a wild card slot!” Heh. As of today we are 31 games over .500. Thirty-one. Then there was Throw-back Day at Nationals Park. The players were dressed nattily in the cool white uniforms of the 1924 Washington Senators, the last team from the nation’s capital to win a World Series. Inspirational videos played on the big screen of that magical season from long ago when a pebble altered the direction of a baseball and gave the Senators a World Series victory over the New York Giants, the predecessors of the San Francisco club that was in town for that nostalgic promotion last July. The Nationals won that day in a heroic come from behind effort in the 8th and 9th innings built largely against a pitcher who previously in the season, had thrown a perfect game. We ended up sweeping the Giants in that series last month and went on to take two out of three from them on their turf later in August. Been to the stadium lately? It is a raucous, noisy, nightly spectacle. At last night’s game against the Atlanta Braves, every one of Stephen Strasburg’s ten strike-outs was cheered like it was the final out. These days, the handful of visiting team jerseys in the stands are as sparse as a land mass in the Pacific Ocean. Not only do they no longer inspire wrath of any kind, they, instead, elicit a certain amount of sympathy. Oh, you poor dears. We welcome you to the Lion’s Den. Please, enjoy another beverage. Nats mania knows no bounds. Why just last weekend while attending a friend’s annual summer party in distant Rappahannock County at an otherwise lovely home that didn’t happen to get MASN on Direct TV, I distinctly recall three of us climbing into a parked car, desperately seeking out the latest score, huddled like lonely baseball refugees, hungry for any tidbit of the game that could make it through the static of the radio signal. Yes, the team and its fans have gone through quite a metamorphosis this season. Akin to the launch of a Saturn rocket; slow at first and then gaining speed, altitude and momentum. We are now sky-high. But it’s not September yet. There are about 40 games left in the regular season. There is much work and more cheering yet to go. Strap in, fellow travelers. There is a still-to-be-determined ride ahead of us yet.